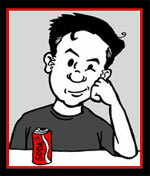 Disney attraction portraits #1: The World Famous Jungle Cruise. A 1955 Disneyland original, the Jungle Cruise has since been replicated or re-imagined at Walt Disney World, Hong Kong Disneyland, and Tokyo Disneyland. Board a jungle boat and head out for adventure under the guidance of a witty and experienced skipper. This Adventureland mainstay began as a serious adventure through the world's jungle rivers into a hilarious pun-filled laugh-fest. 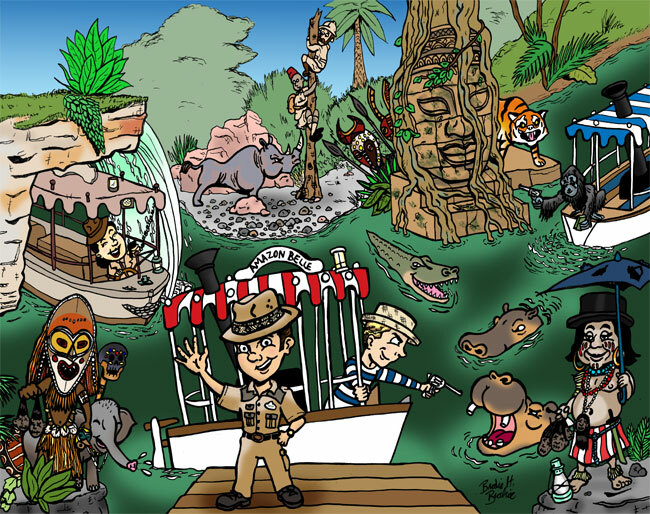 This picture includes different boat styles that have appeared in the jungle over the years and elements of the various versions of the attractions.